FALL is here! Fall is here! 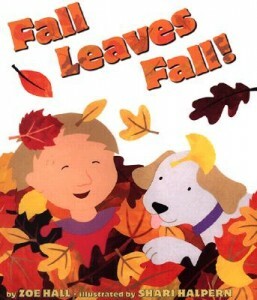 While summer is my favorite season, fall takes a close second! The changing colors, pumpkins, fresh donuts and cider, apple picking, hay rides, & more make fall a fun time of year here in New York. This is the time to put on long sleeves, some good sneakers and head out to enjoy the changing of the seasons. To help you do this I have created FREE Fall Nature Walk Scavenger Hunt Lists and gathered some nature resources together for you. There is so much to explore out in our world. Nature offers up so many wonders for us to study. Fall is a great time to spend outdoors exploring the many types of trees, flowers, animals and more. Grab a field guide, or two! Here is a great article with loads of Free Nature Study Resources for you to use and take along on your explorations. There are also loads of Autumn Nature Study Resources including notebooking pages over at The Handbook of Nature Study website! You can also read my tips on taking Fall Nature Walks, over at Hip Homeschool Moms. I have created two variations of printable scavenger hunt lists. The first one is for Middle and High School ages and is more specific in nature. 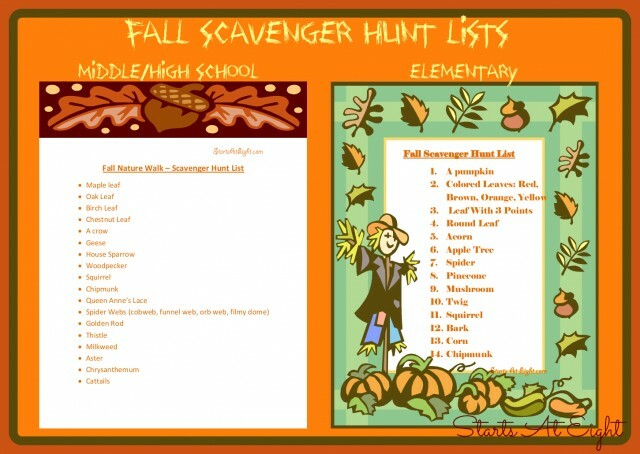 Please feel free to download the Fall Nature Walk – Scavenger Hunt List for Middle & High School and use it in your homeschool. If you love it, please consider sharing this post with others so that they may enjoy it as well! The second one is for Elementary ages and is more general in nature and includes colors and shapes as well. 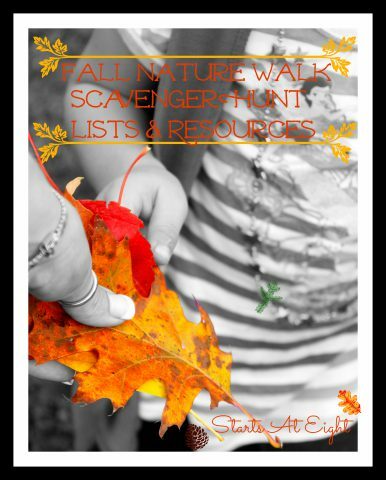 Please feel free to download the Fall Nature Walk – Scavenger Hunt List for Elementary School as well to use in your homeschool. Fall Leaves Fall – use the things you find to create fun crafts. Oil Pastel Resistant Pumpkin Project – A fun art project using oil pastels and paint. 10 Fall Leaf Crafts & Activities – A round up of some of our favorite fall crafts and activities. Fall Poetry Leaf Painting Project – Combine a fall poem with a simple fall tree painting tutorial and you have a beautiful decoration for your wall for years to come! Love, love, love this idea! I’m going to use this on our next nature hike for sure.